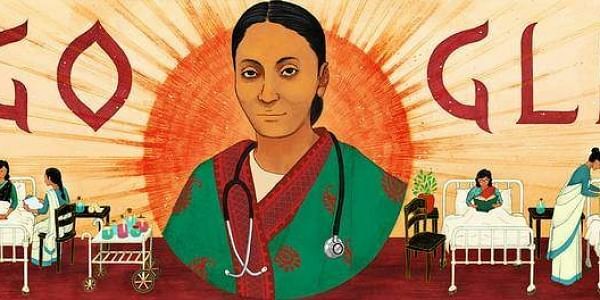 Search engine giant Google on Wednesday dedicated its doodle to Rukhmabai Raut, one of India's first practising doctors, to celebrate her 153rd birthday. Rukhmabai, who was also an active social reformer, breathed her last at the age of 91, in September 25, 1991. NEW DELHI: Search engine giant Google on Wednesday dedicated its doodle to Rukhmabai Raut, one of India's first practising doctors, to celebrate her 153rd birthday. Rukhmabai was born on this day in the year 1864 in Mumbai. She was married off at a very tender age of 11 to Dadaji Bhikaji. She continued to remain in the house of her mother and educate herself. However, Dadaji did not support Rukhmabai's choice to continue studying, which led her to take the decision of not remaining married to Dadaji. In 1884, Dadaji filed a petition at the Bombay High Court to restore conjugal rights over his wife. The court, in its judgement, directed Rukhmabai to live with her husband or go to the jail. Rukhmabai, however, refused and told the Court that she would prefer to go to jail, rather than staying with Dadaji. It was only after this case that the Age of Consent Act was passed in 1891, which outlawed child marriages across the British Empire. In the pseudonym of A Hindu Lady, Rukhmabai wrote numerous letters in the newspapers and won the support of many.